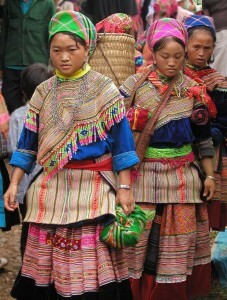 (Open Doors) — Vietnam is home to more than 50 ethnic minorities. Each has its unique language and culture, but such diversity has often presented challenges for the government leaders, whose Communist ideals are averse to individuality, private ownership and religion. The Kinh group is the largest, making up about 86 percent of the country’s 91 million people. Most of the business owners, educated and political leaders are Kinh. The “minority people,” as the majority Kinhs would refer to the rest of the ethnic groups, make up the labor force—employed as hired hands in factories and farmlands. Some of them own a small piece of land to grow crops on, but it’s easily lost if they do these two things: fight for emancipation or follow Christ.